Indian culture is full of wisdom and mystery. Tattoos in Indian style are not only beautiful, they have sacred meaning as well. Images of this ancient culture must be treated with respect and carefully chosen for inking on your body. Images of sacred animals, insects and Gods are often inked in India. The deity Shiva came to India along with the Slavic-Aryan people who gave their Vedas to people. Shiva is the side of the deity responsible for destruction. But it doesn’t destroy everything. It destroys only ignorance, which has become obsolete. Such destruction is beneficial for the Universe. The doctrine says that Shiva came to restore the divine order and thereby save the planet and humanity through destruction. In his opinion, wars, aggression and negative events in the world speak of a low level of people’s consciousness and the need for everyone to think about their lives, to change them. God Shiva is the personification of the male static principle. 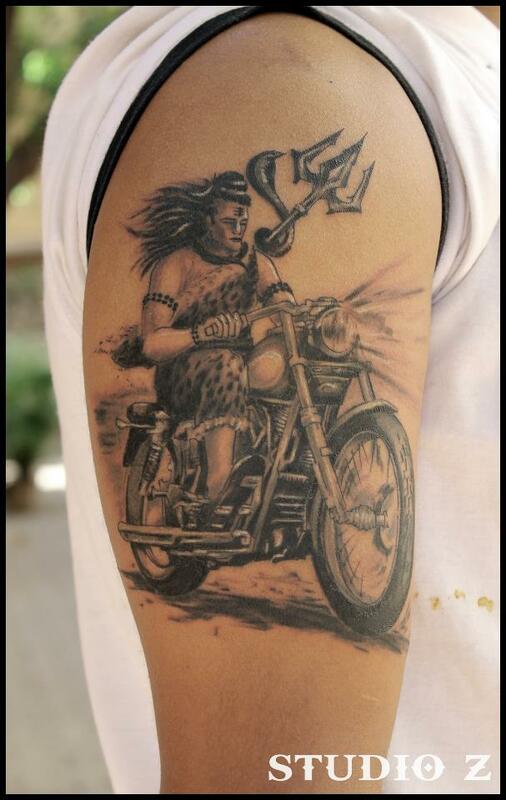 Tattoos of Shiva are inked by people who are fond of this ancient religion and share it. It is more suitable for the male part of the population. It’s better to choose carefully such a complex image, which carries a great deal of power. Shiva tattoo sketches come in various sizes, and can display a certain storyline. Particular attention should be paid to the color palette. In India, each color has a certain semantic meaning. 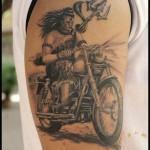 It is worthwhile to carefully study the Indian culture and religion before making a tattoo of Shiva. You should choose the upper part of the body to ink Shiva tattoo. First of all, this is due to the passage of energy fields through it. Moreover, inking of images having a sacral meaning below the belly is disrespect.